Did you know it takes your immune system 6 HOURS to return to homeostasis after only 2 minutes of stress? I remember my Anatomy and Physiology professor telling us to go ahead…yell scream, cry and be angry (its not good to hold it in!) but set a timer! At two minutes, Let It Go! It’s well known that “stress is a killer” and prolonged stressful situations can make you sick. When we allow ourselves to remain in a state of stress, our bodies go into fight-or-flight mode which is very taxing on the immune system, and eventually causes havoc throughout the body. Your heart rate increases, your breathing becomes shallow, your muscles contract, you may break into a sweat. Your adrenal glands activate the adrenaline rush, shooting up your cortisol level, which can eventually lead to belly fat. No one wants that! There are a variety of natural, alternative and complementary therapies that can be utilized to help you manage your stress and eventually eliminate it. 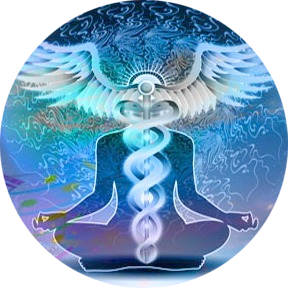 *A Reiki treatment can cleanse the aura, clear energy blocks in the chakras and meridians and release subconscious fears. Its beautiful universal light reconnects us to all that is within our heart, realigning us with our Higher Self. *Many essential oils such as lavender, chamomile, yling ylang, or a blend such as doTERRA’s Serenity can work on the pathways of the nervous system to reduce stress and offer a calming effect, sometimes instantly. And, with regular use, your body can reap the benefits long term! *Before you sleep, find a guided meditation on YouTube that speaks to you with a soothing voice, and listen to it as you drift off to sleep. *Different types of crystals give off different healing frequencies that can balance your energy. The amethyst is one of my all-time favorites to induce calming moods and restful sleep. Finding a small amethyst to keep with you in your pocket so you can hold it in your left hand during times of stress to absorb its beautiful calming energy. A larger piece can be set on your bedside table, within 4 feet of your aura, or placed under your pillow at night as well! *Even something as simple as a few minutes of deep breathing techniques can offer tremendous healing to reduce the heart rate and return you to homeostasis. Whatever methods you find may resonate with you to offer you stress relief, it is truly important to learn to recognize what it is that is causing you the stress to begin with. Energy Imbalances, Emotional Trauma, Poor Diet, Nutritional Deficiencies, Toxins, and Lack of Exercise among other things can all contribute to a buildup of stress and need to be addressed for true healing to occur. During a health consultation, I can review many of these common stress triggers with you on a personal level to directly address the root of the problem and we can get to work! From a holistic mind-body-spirit perspective, that is much more important that trying to treat the symptom!